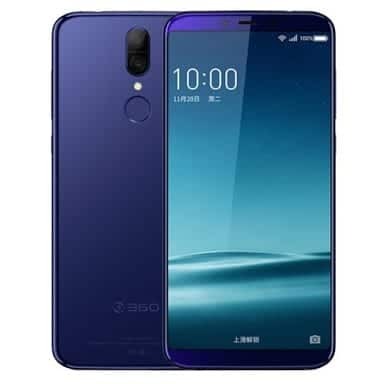 The Chinese OEMs have ensured they are major game players in the smartphone market by releasing smartphones that adequately meet every requirements of smartphone users in the world. Well, here’s another OEM from China with a brilliant smartphone called the 360 N6 Pro. This smartphone glides into the mid-range segment of smartphones and might just be the perfect fit mid-range smartphone. This smartphone packs all what you can ask of from a smartphone and has a cool price tag on it. Let’s go straight up to the full technical specifications of this smartphone. The 360 N6 Pro’s design is crisp on both on the fire and the rear. Amazingly, the both sides of the smartphone look like they’re made of glass. Meanwhile, it’s only the fore that’s made of glass. The rear has a metal build which comes with a non-conductive vacuum (NCVM) which gives it a finely furnished look similar to glass. Occupants of this rear include: dual camera, LED flash, fingerprint sensor and the 360 logo. The front of the smartphone looks super sleek as it bears the 2.5D curved glass with bezels only appearing at the top and bottom. The top bezel contains the ambient light sensor, earpiece and front camera. The bottom bezel, on the other hand contains the soft Android navigation keys. 3.5mm audio jack is present at the top of the smartphone. 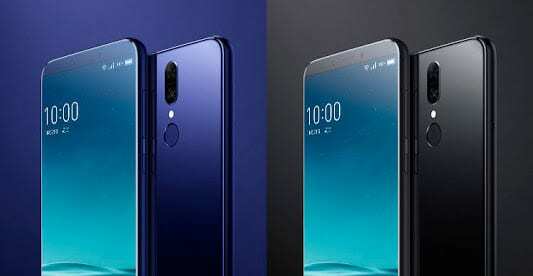 The dimensions of the smartphone are 157.2mm length, 75.64mm width, 8.15mm thickness and weighs 182g with its battery. There are only two colour options – Black and Blue. 360 N6 Pro has an IPS LCD capacitive touchscreen with 5.99 inches FHD+ display. Its resolution has 1080 x 2160 pixels responsible for the screen’s clarity. 403 PPI also controls the sharpness concentration of the smartphone. Its display area has a super 84.5% screen-to-body ratio. Well, this can be accredited to the 18:9 aspect ratio. Octa-core Kryo CPU that clocks at a super speed of 2.2GHz is what powers this smartphone. Qualcomm Snapdragon 660 chipset houses this octa-core CPU. This processor uses the 14nm process technology. Qualcomm Adreno 512 GPU runs the graphics production on this smartphone. Android 7.1 Nougat OS is the operating system running on the smartphone. There are two variants of the smartphone based on the RAM handling multitasking. There are 4GB and 6GB RAM variants. 64GB and 128GB are the ROM variants of the smartphone. The storage can be expanded to 256GB with the adoption of a microSD card. The rear of the smartphone has a dual camera setup of 16MP and 2MP qualities. It comes with f/2.0 aperture and LED flash. The front camera has an 8MP shooter that has the f/2.2 aperture. The 360 N6 Pro has a non-removable Lithium-Polymer 4,050 mAh which charges very fast as a result of the Fast Charging technology inherent in the smartphone. What is The Current 360 N6 Pro Price and Availability Status? 360 N6 Pro has a starting price of $257. You can click on the links below to view latest 360 N6 Pro price & availability.